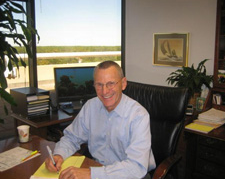 Houston attorney uses extensive financial background to assist clients in legal matters For more than 40 years, Larry A. Harman, P.C. has been serving clients in the Greater Houston area. He has a strong financial background as a CPA who has served as a chief financial officer as well as practicing law. Mr. Harman brings in-depth experience to every case he accepts, whether it be a business law matter, an estate planning situation or the planning of a merger or acquisition. Mr. Harman has earned an AV Preeminent Peer Review Rating by Martindale-Hubbell, the highest recognition possible in the legal industry, for his professionalism and ethics. Areas of the law Mr. Harman can help you with include: - Business Planning - Business Transactions - Mergers and Acquisitions - Real Estate - Probate - Trust Law - Estate Planning - Tax Planning Corporate lawyer assists clients with their business needs Larry A. Harman uses his financial background to advise clients on a wide variety of business matters. Even many small matters can benefit from the review of an experienced business lawyer. Mr. Harman is able to see possible legal and financial pitfalls that may arise in the course of doing business, and can help you avoid them. Contracts and transactions can benefit your business, but if they are not executed properly they can inflict long-lasting harm on your business. Mr. Harman strives to help you and your business succeed. Houston, Texas lawyer experienced in M&A The area of mergers and acquisitions can make or break a company. Mr. Harman has the experience to guide companies through the process from both legal and financial perspectives. He discusses the goals of your company and how a merger or acquisition can move you closer to achieving them. Then he creates a plan to get the most from the M&A process and make the way as smooth as possible. Estate planning needs in Greater Houston Plan for the life of your family and children with a Houston estate planning lawyer. Larry A. Harman, P.C. helps individuals draft wills, create trusts and handle probate disputes. Mr. Harman brings more than 40 years of legal experience and a background as a CPA to handle all aspects of estate planning. Trusted business allies Whether you are planning to start or are expanding your business in Texas, an experienced and knowledgeable business law attorney can help expedite the process and ensure your success. Larry A. Harman, P.C. assists individuals and businesses of all sizes with: -Commercial and civil litigation -Business formation and advice -Due diligence -Financial investment counseling -Contract review and development -Contractual disputes -Buy-sell agreements -Shareholder disputes With more than 40 years of industry experience, Larry A. Harman, P.C. is well prepared to handle business legal issues of any size or complexity. If litigation becomes necessary, the firm works tirelessly to defend your rights in court and provide the best possible results for your case. Realizing your business dreams One focus of Larry A. Harman, P.C. is helping clients start their own businesses. We review your business plans and advise on issues involved in business formation and maintenance, including potential liability, corporate entity formation and tax structures. Once your business has been established, we continue to help it grow by advising you on insurance coverage, investment strategies and corporate compliance issues. We also look after your best interests by finding strategies to limit your personal liability and improve your bottom line. Helping business owners move forward Larry A. Harman, P.C. works closely with business owners to ensure businesses run smoothly. We often negotiate and draft contracts and buy-sell agreements, assist with corporate compliance measures and tax filing, and represent businesses in shareholder disputes and commercial litigation cases. Larry Harman is a seasoned negotiator and litigator, and knows how to best represent your financial interests to successfully resolve your issues in the boardroom or the courtroom. Mr. Harman has earned an AV Preeminent Peer Review Rating by Martindale-Hubbell, the highest recognition possible in the legal industry, for his professionalism and ethics. -Sale Assets of Seismic Systems, Inc. to Sercel, Inc.
-Sale of CopperLogic, Inc to Eaton Corp.
-Sale of Chemical Market Associates, Inc. to IHS Corp.